Just what it says tell what type you bought and company and anything else you think we should know. I have some ordered and will post when I get them on. 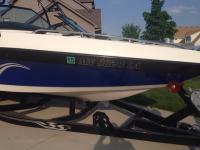 Plan is to help people decide what will look best on the different color hulls and boats. 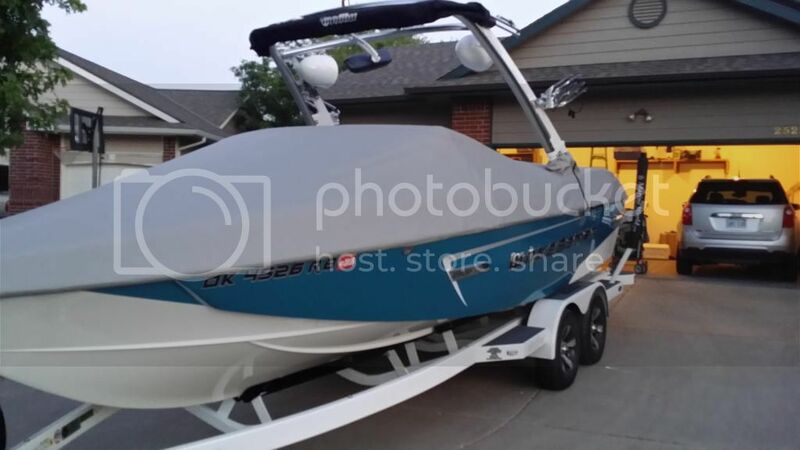 Thanks in advance but I have never seen anyone on this crew mind posting pics of their nice boats. I posted mine not that long ago. Here you go again. pook77, what type and company? Thanks for starting this. I am waiting for my numbers from the dealer so I can decide to use them or order domed. I really like mrnate's and leanig that way now. Quick question. I have seen many people say they have gotten email proofs prior to ordering. How do you do this, do you have to call them. I have selected the font, filled in numbers and colors and checked the email proof box, but it is requiring me to checkout now and pay. I've been experiencing some difficulty trying to place my order as well. Any time I select something other than the standard colors it tells me to call them. I've called them twice now and have e-mailed them but no response. I'd also like to try and use TMC discount they offer and it says to call them. Yes, please let us know the secret! These were from 3dlettering.com. Great looking product at half the price & great customer service. I emailed them about proofs and they said they didn't do them anymore because of cost and time taken away from staff that could be doing other things. When I told them I planned to purchase from them, they responded. This was about 2 weeks ago. 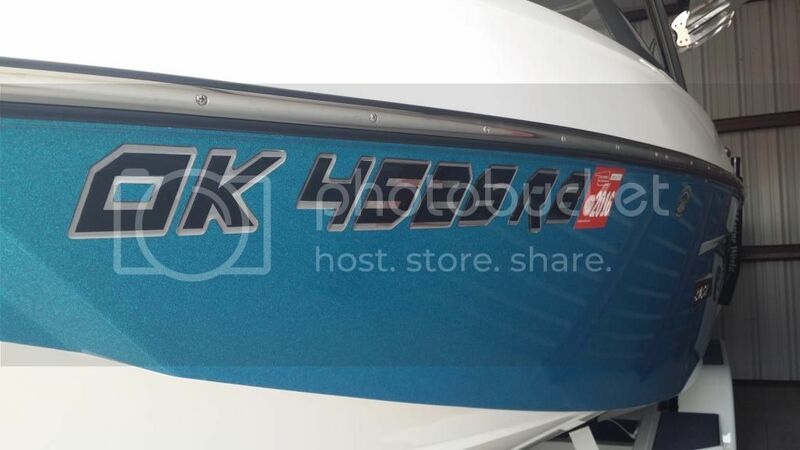 Truth be told however, I've got 3D Lettering numbers on our Sea-Doo and would have put them on the RLXI if they had a font match. In the end, I'm happy with the results. 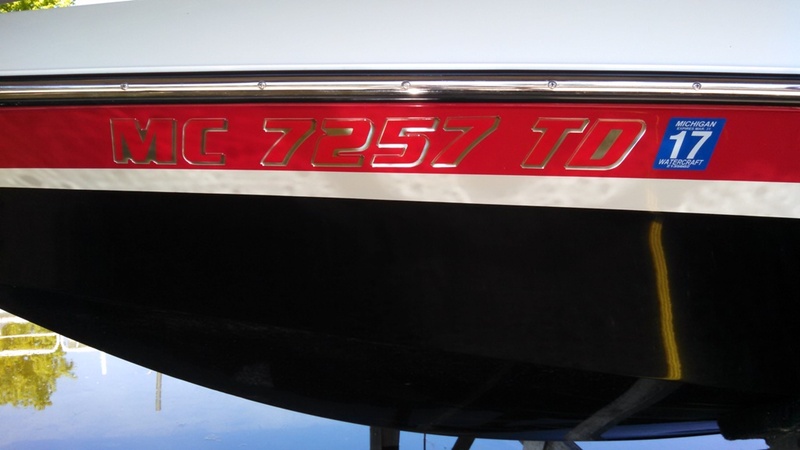 I tried black with chrome trim on the black part of my boat & the sheriff didn't like it.... said it blended in too much & he'd ticket me if he saw them again. 3D ended up sending me a 2nd set for free. Good luck with yours. Domednumbers.com. This is my 4th set from them(different boats). Black with Chrome trim. I did take a chance on the color, but hopefully the cops don't hassle me. Edit: Yes I did get the discount. I just entered the code online while ordering. I called to get the discount. That's horrible! Fortunately, I'm rarely on a lake that has frequent visits from the law. 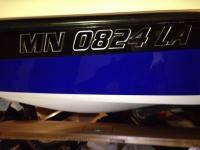 Well, I just ordered mine yesterday, the 2010-2013 Wakesetter font (black/chrome) that will go on my black background. Yikes! Hope I don't get hassled by the law like Bill_AJ did. AFun has this same color scheme and says you can see it pretty well so I'm hoping for the best. I'll post a pic when all said and done. edit: Forgot to add that the TMC discount code worked when ordering. Thanks DomedNumbers.com! I got them to send a couple proofs but it took a couple weeks to get them. I was told they are very busy right now. So what is the discount code and how much does it save? Discount code is in the Crew Discounts forum under the Domed Numbers.com link. Saves $10 plus free shipping. Mine are shipping out today!!! I must be an idiot. I have been looking and searching for 30 minutes and can't find it. Where exactly is it? Is it under Deal Street, Group Buys, or what? I am ordering mine tomorrow. If I am smart enough to figure out how. Should have some pics soon. My domed numbers just came in. Which font did you go with? 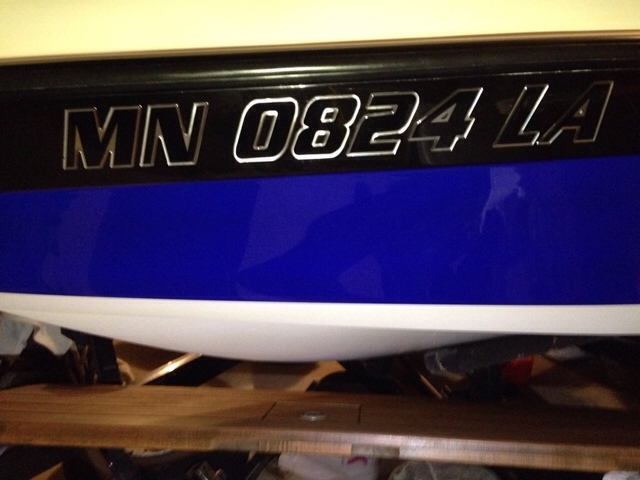 I got them to send me proof of the 2014 Wakesetter and Malibu fonts. I think I am going with the Malibu font. 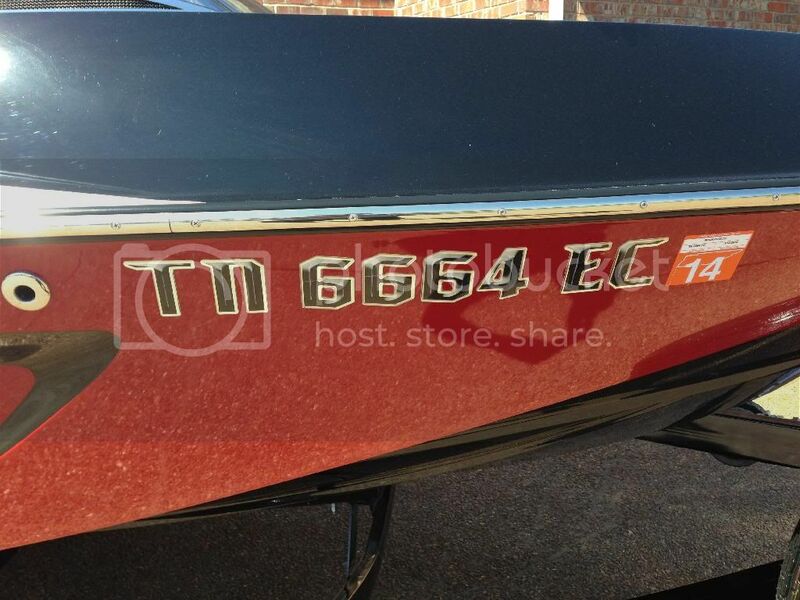 I originally thought I would want the Wakesetter font but with mine starting with TX I wasn't that thrilled with the double loooking T and the Malibu font is much easier to read. I am ordering this morning. Yeah. That makes sense. 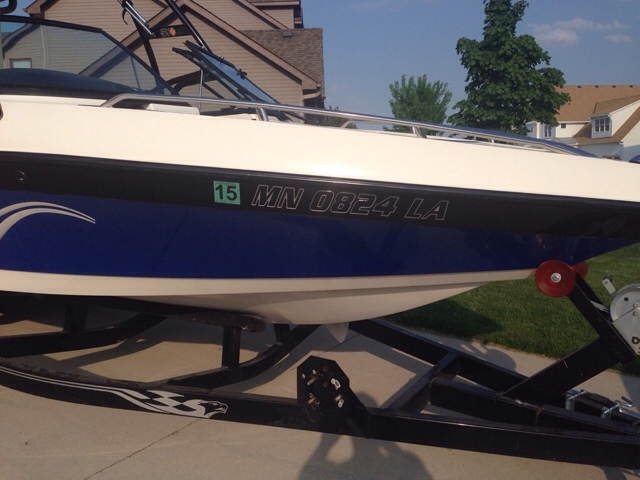 I went with the wakesetter font, but mine starts with OH so I don't have the problem you have.